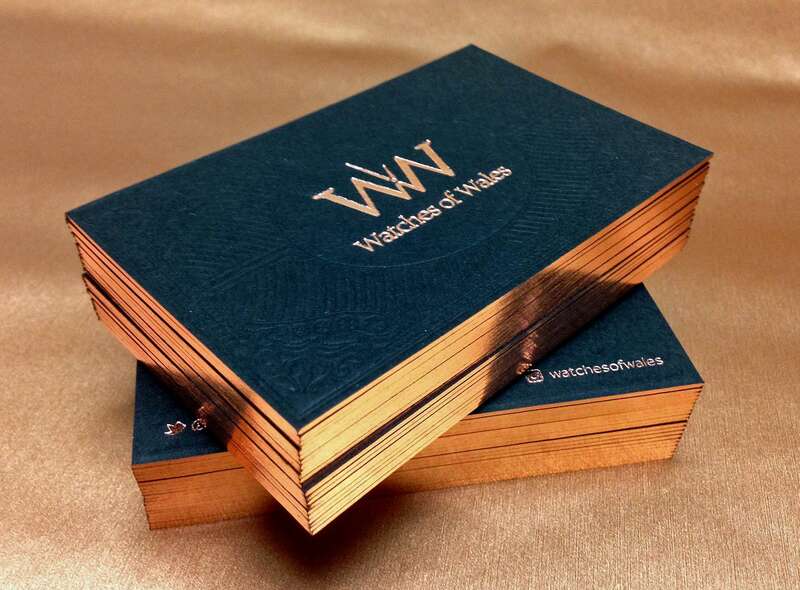 A Luxury ‘no expense spared’ business card design created for high end watch retailer Watches of Wales. 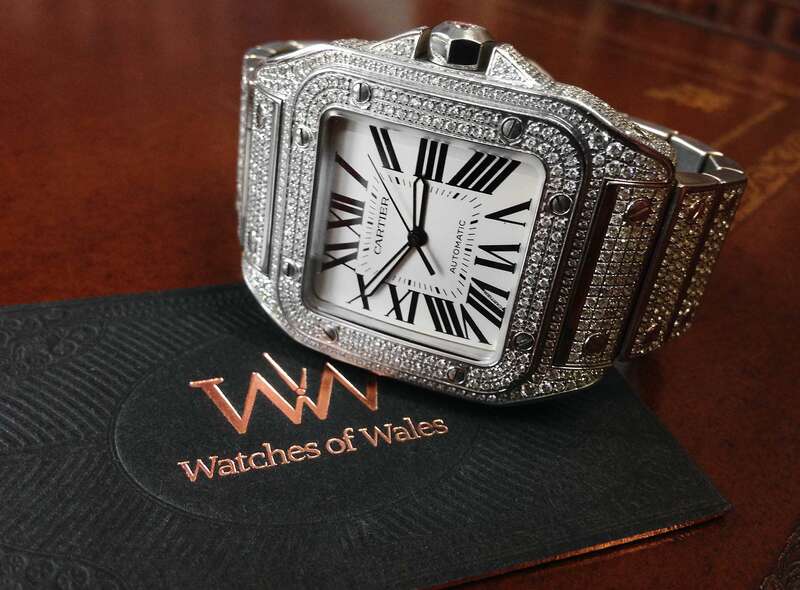 My main aim with this card was to leave a lasting impression on anyone it was handed to, it needed to convey the companies values and quality of the watches that they sell. 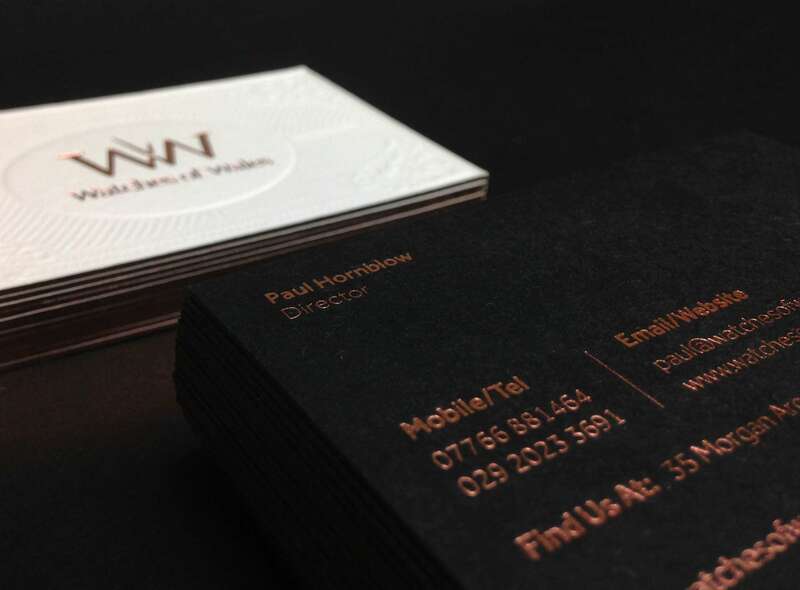 A combination of printing techniques were used to create the luxury business cards. The card stock itself needed to be thick enough to allow for a deep blind debossing effect. 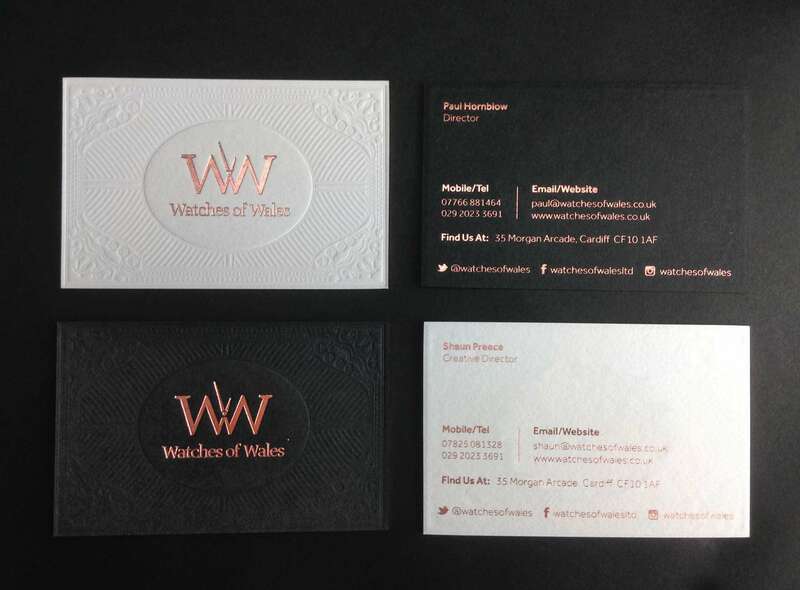 I chose 700gsm pristine white & ebony colorplan stock. 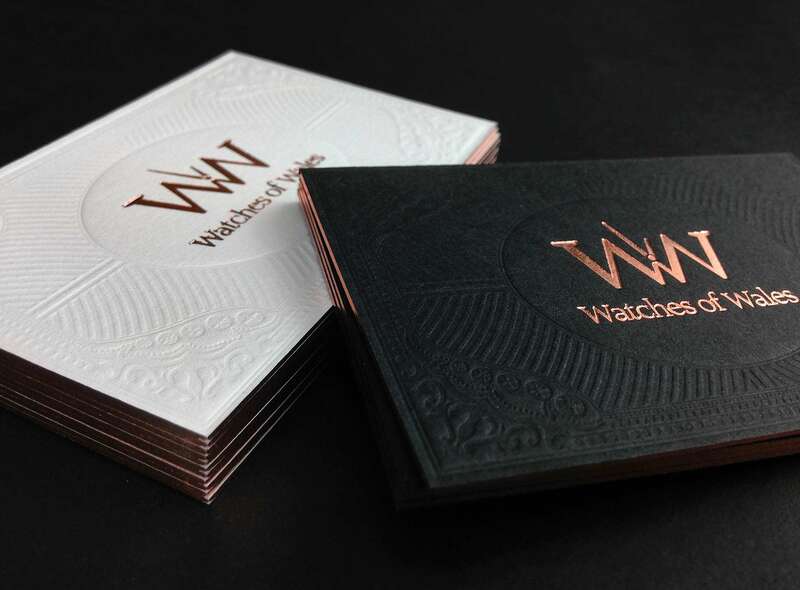 The logo has been foil blocked in metallic rose gold foil. 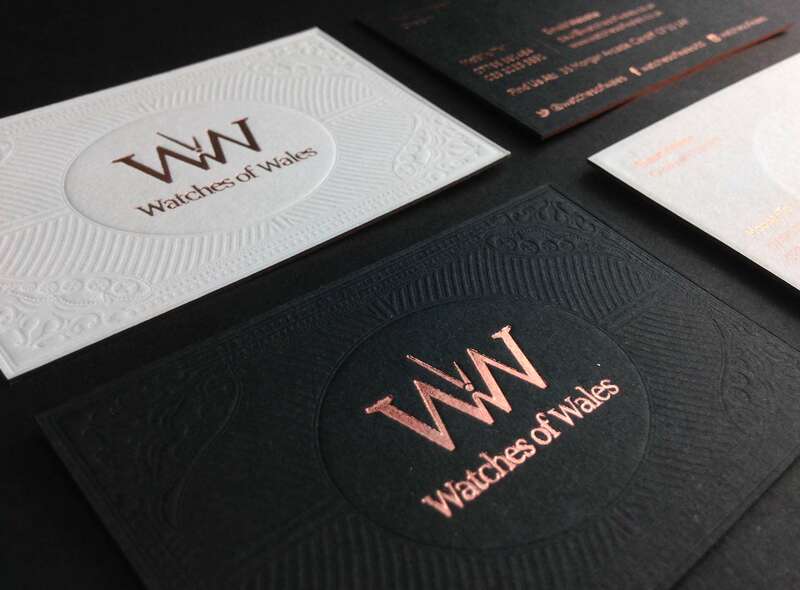 The textured finish on the card was created using a process called blind-debossing, I felt this was necessary to make a stand out card that screamed luxury and quality. 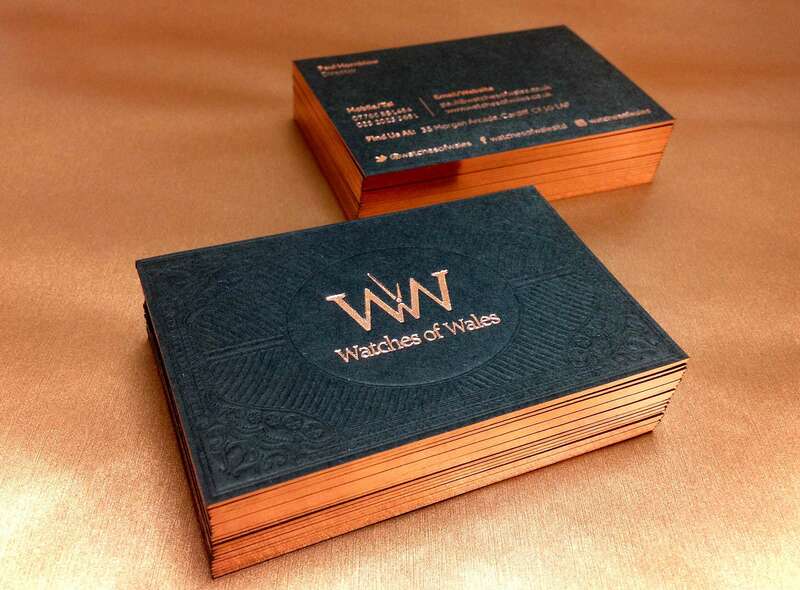 To complete the card the edges have been gilded with metallic rose gold foil to match the logo. 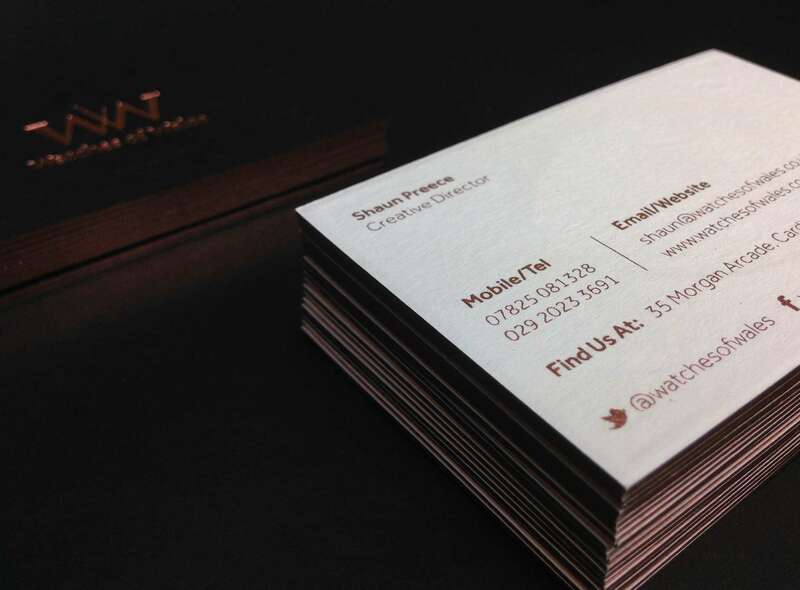 The reverse of the card has all of the contact details in rose gold foil. Like what you see? contact me to discuss how I can work with you to create a business card that sets you apart from the competition.